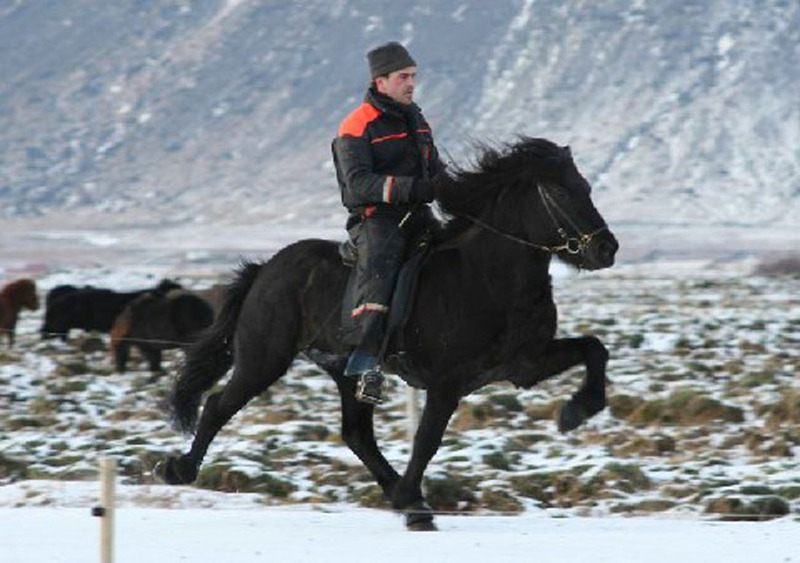 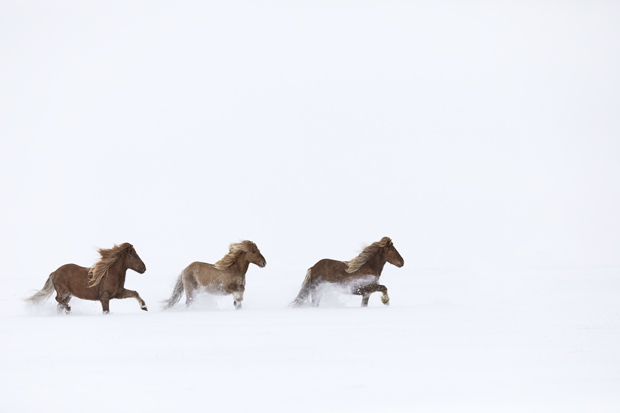 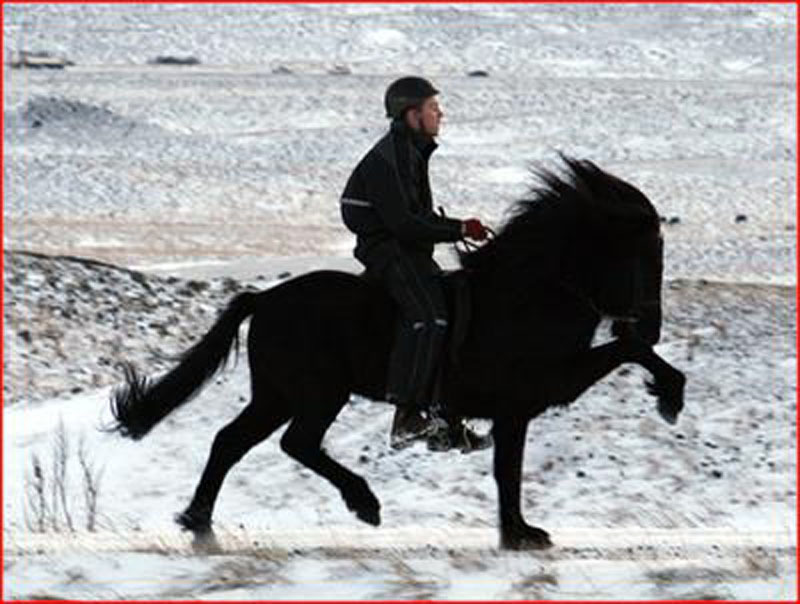 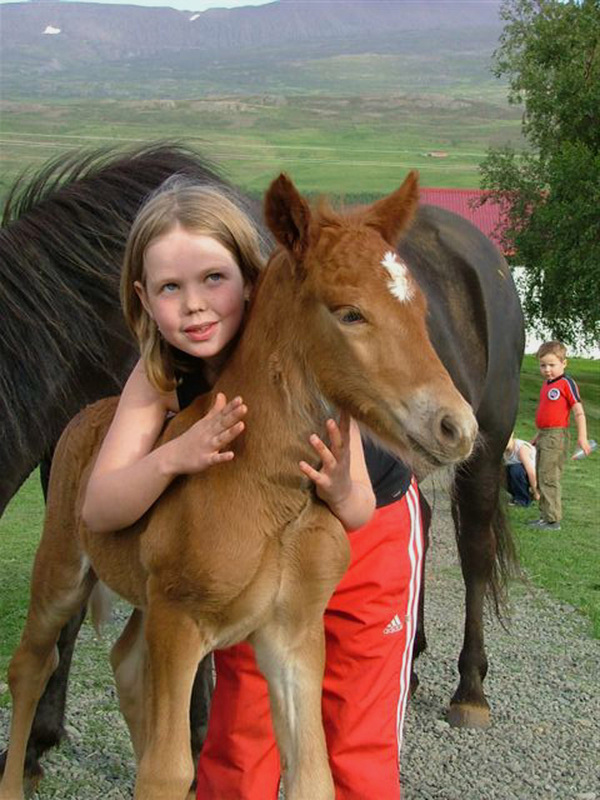 LoneStar Icelandics (cute/cool pics), of the site http://icelandichorse.us/ If you see no borders (top or left), click here. 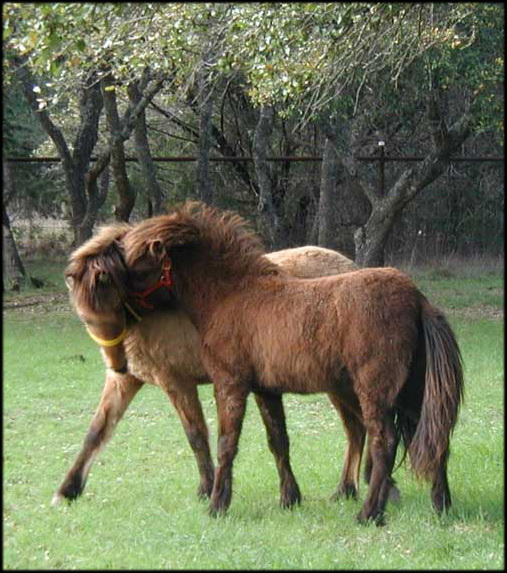 "Now where has that person with the hay gone to!?!?!" 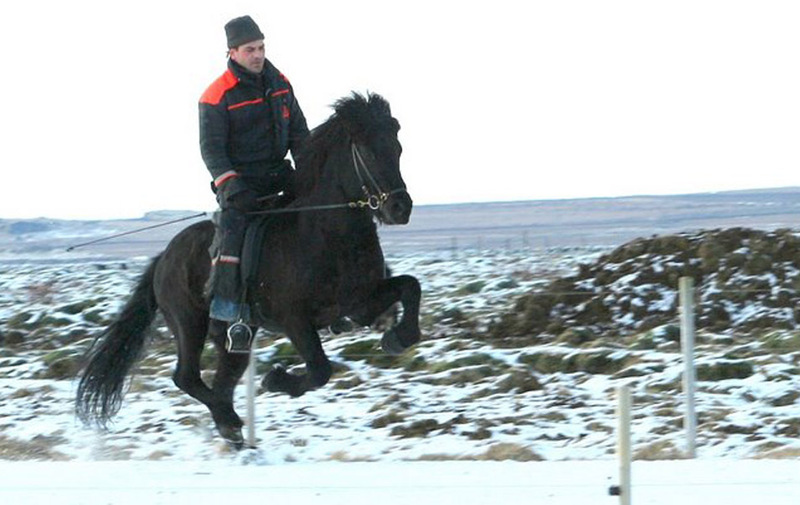 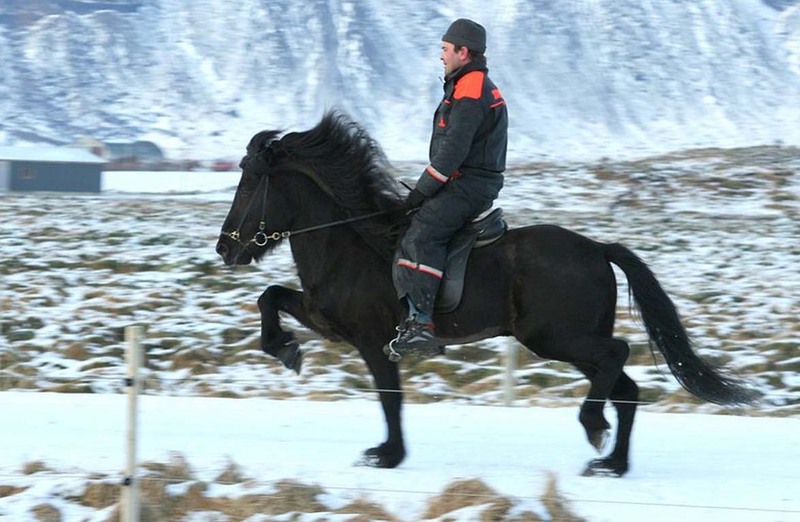 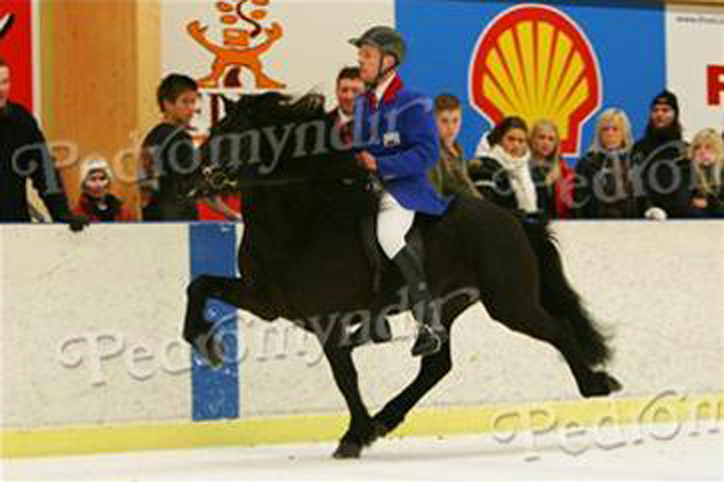 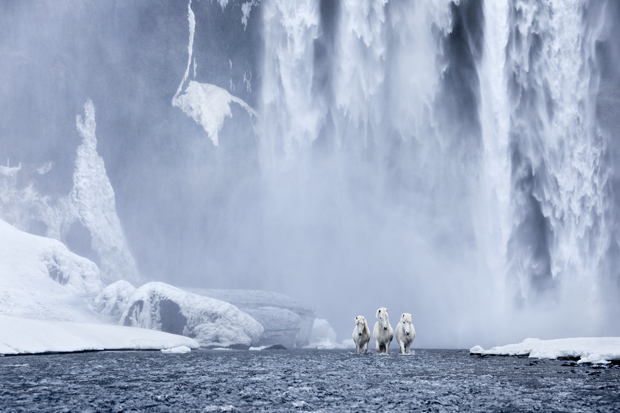 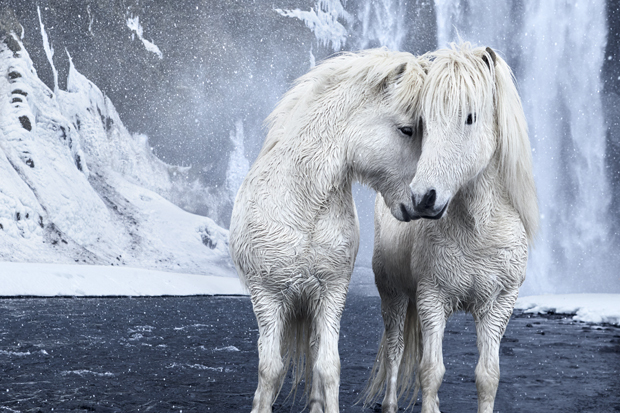 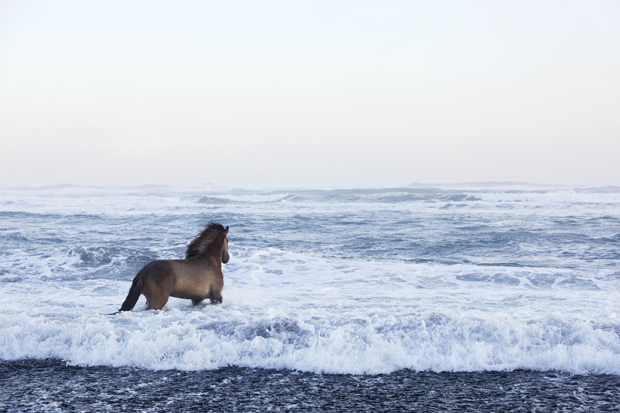 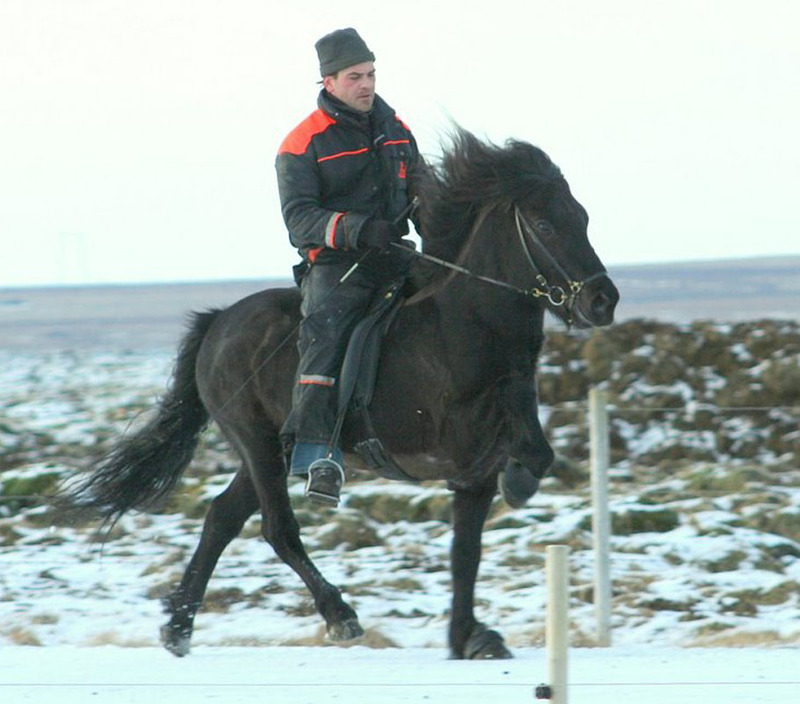 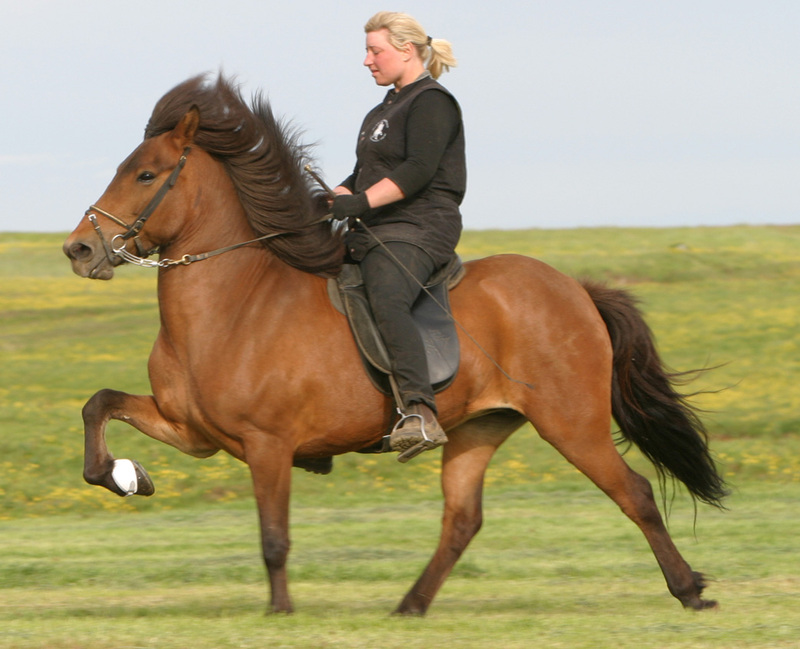 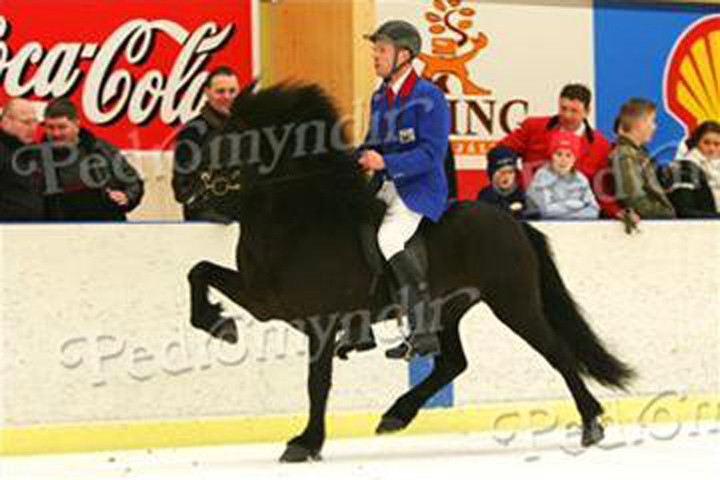 Moli & his father Glampi were two of the highest steping stallions in Iceland. 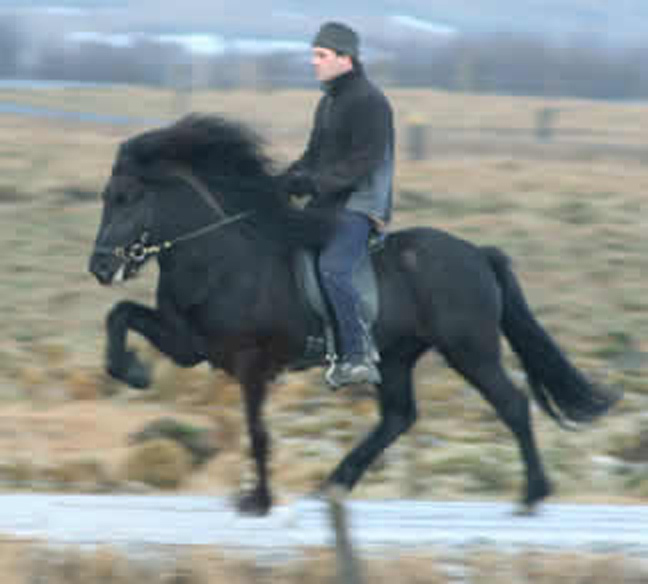 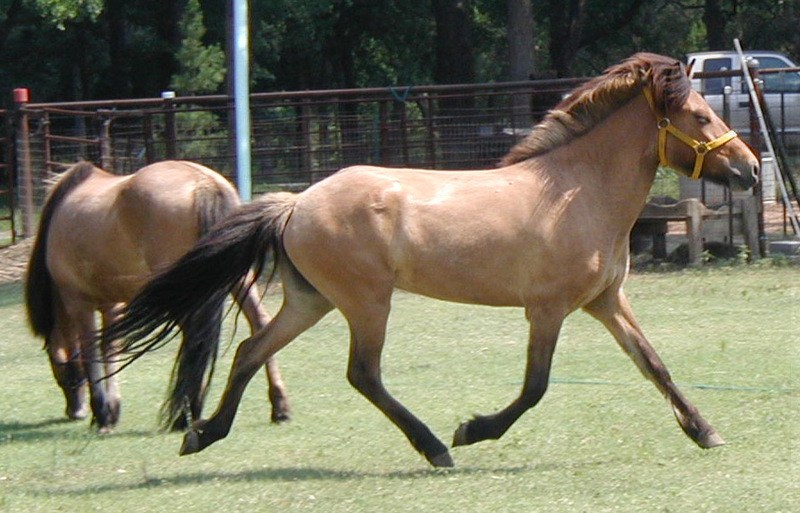 Moli frá Skriðu - our mare Harpa was bred to him, see Mánadís frá LoneStar, "Young Ones". 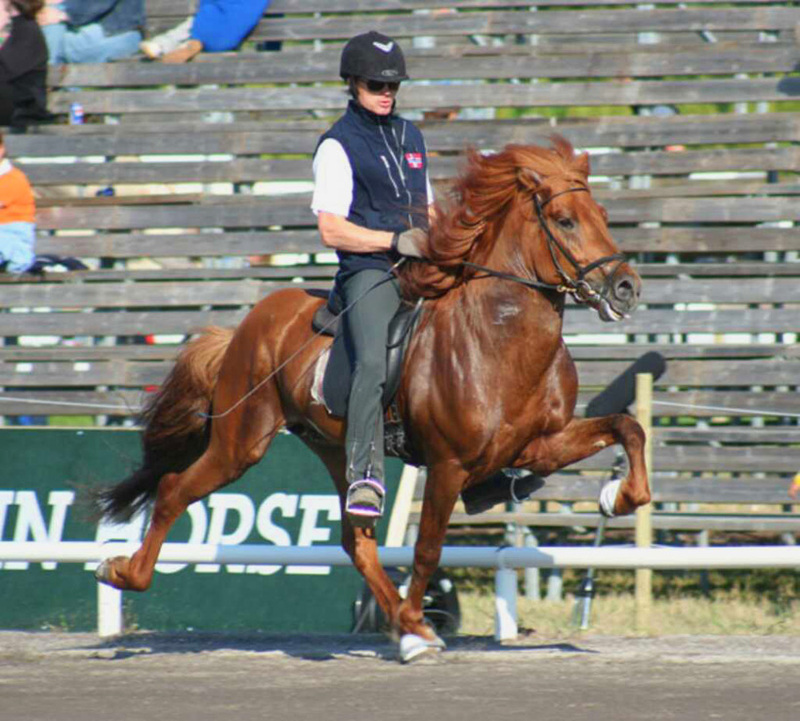 tolt, spirit and general impressions, 8.5 for gallop. 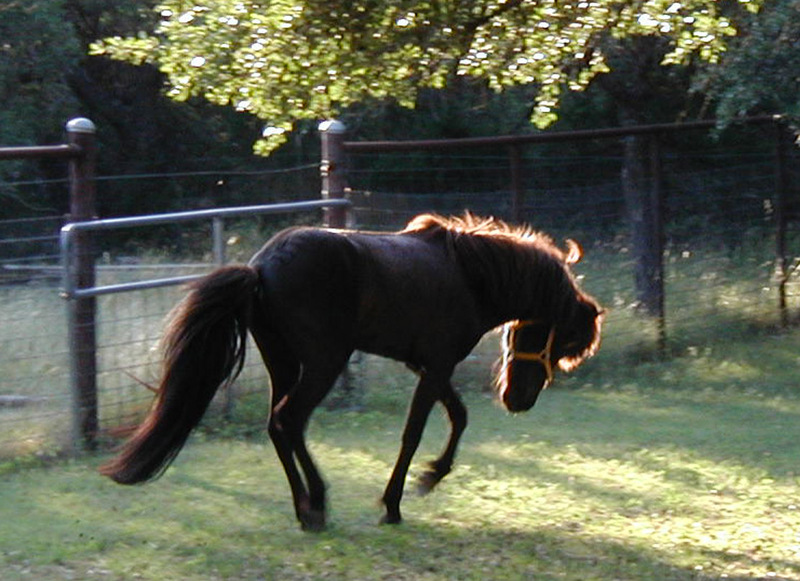 Sjoli fra LoneStar flying ... age about two years. 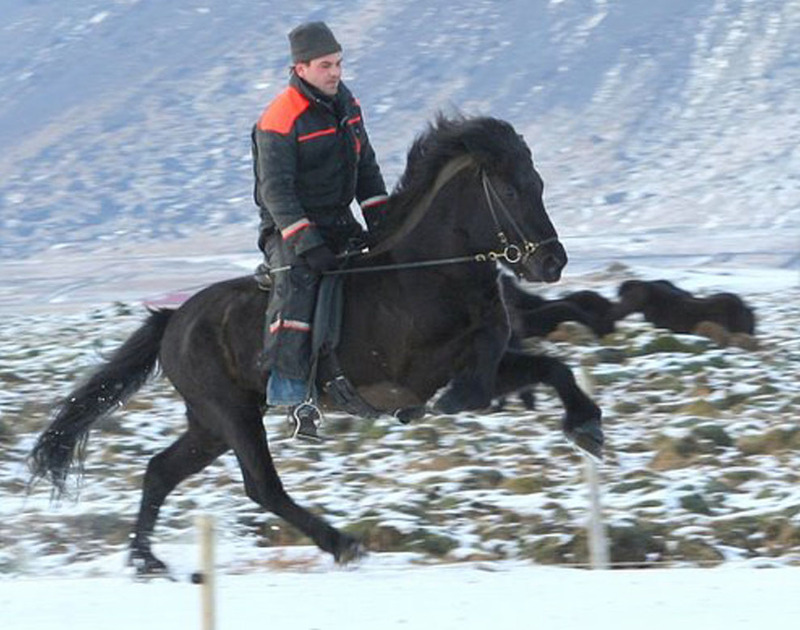 Thor & Moli at the Ice Tolt in Reykjavik. 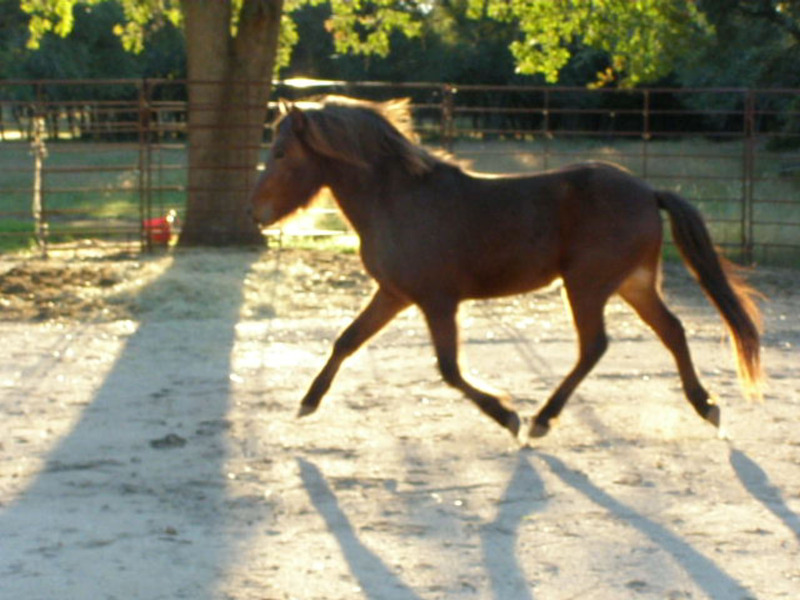 Moli has this natural high foot lift at all speeds. 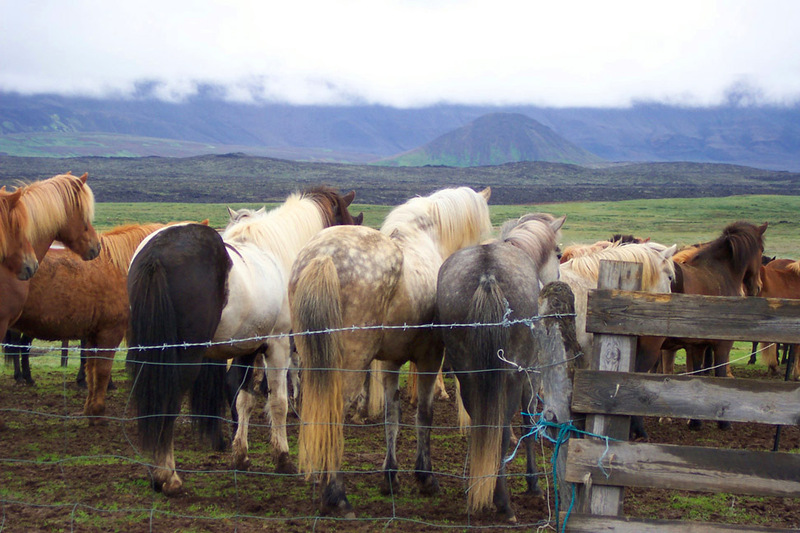 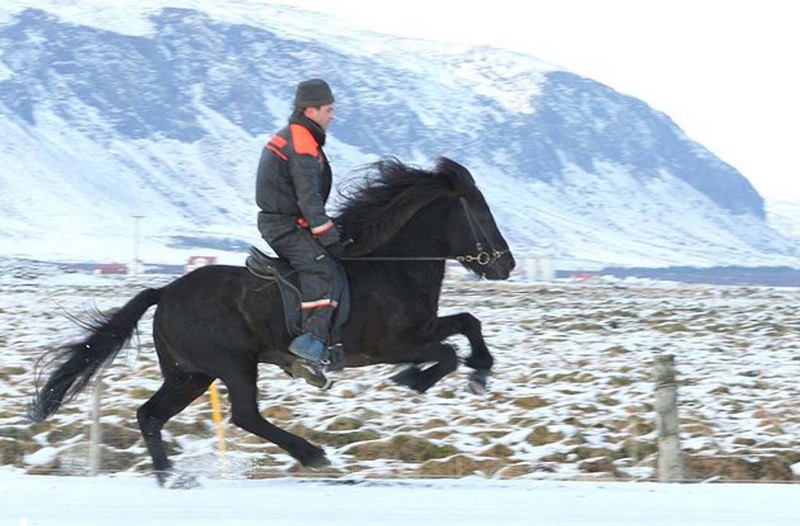 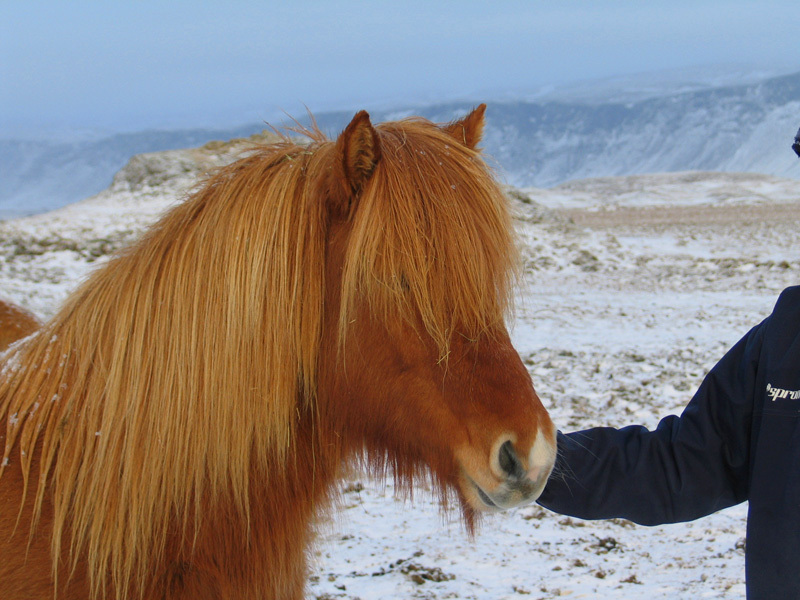 In Iceland, they start early in their horse culture, both the horses and the children. 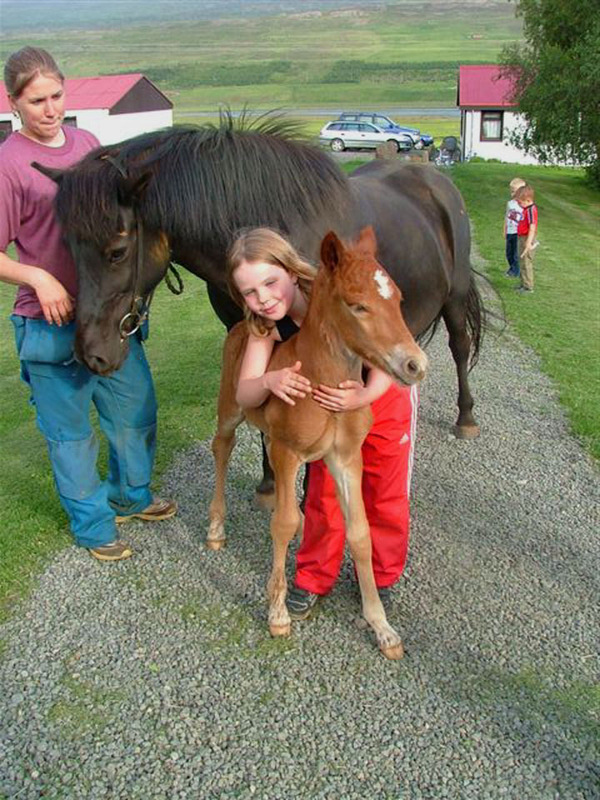 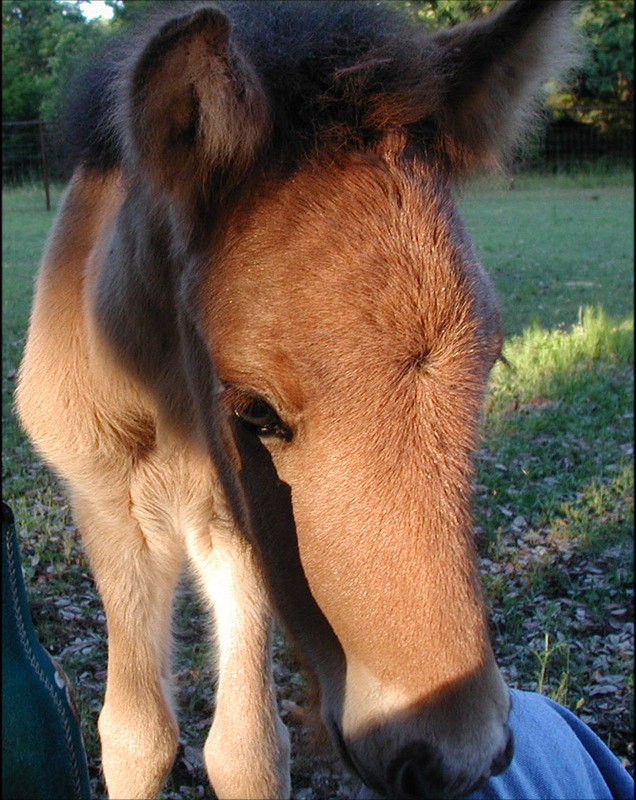 2004-Tappi ("little one", NOT :) whispers sweet secrets of love to Sæta ("sweet one"). 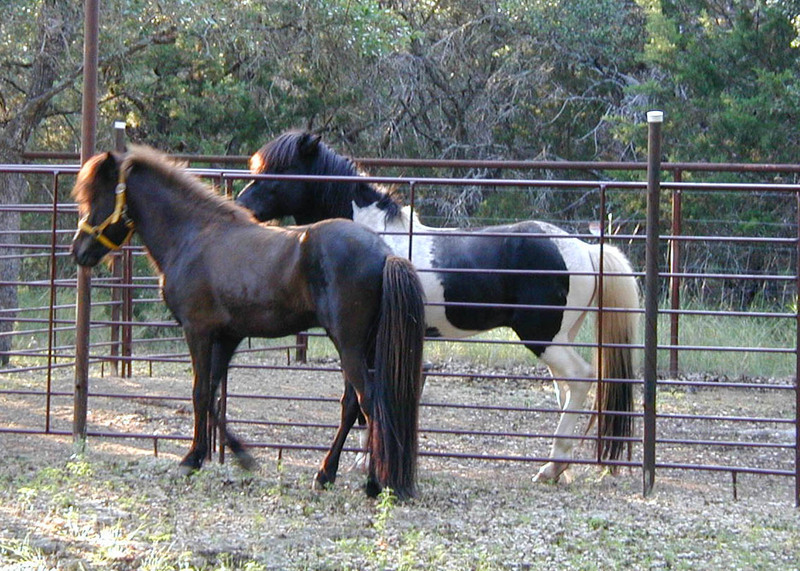 Picture above taken June 2006.